Welcome to Kim Hohmans Dance Works! 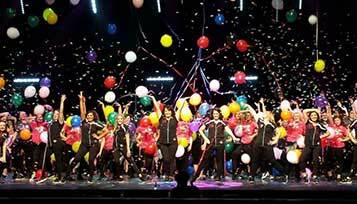 Kim Hohman's DanceWorks just recently completed their 22nd Annual Dance Recital!!! KHDW continues to provide the area's best in dance education. We are also proud of our strong cheer and tumbling programs and love building strong young performers. The programs at our studio are designed to meet the skill levels and goals of all students. Our classes are developmentally appropriate, challenging, and of course fun!! We utilize the latest techniques and styles to support a strong classical foundation. All of our classes are also taught by qualified instructors who love teaching and care about the progress of the students. This year has been filled with so much success and opportunities. It has been wonderful and we look forward to many, many more!!! Dancers from Kim Hohman’s DanceWorks attended Encore Talent Productions National Dance Competition in Mason, Ohio at the end of June, 2016. The best dance groups from the surrounding states competed at this competition. Many of the groups also brought home top overall high scores and Special Judges Awards. The studio was awarded for Most Entertaining during more than one awards ceremony. 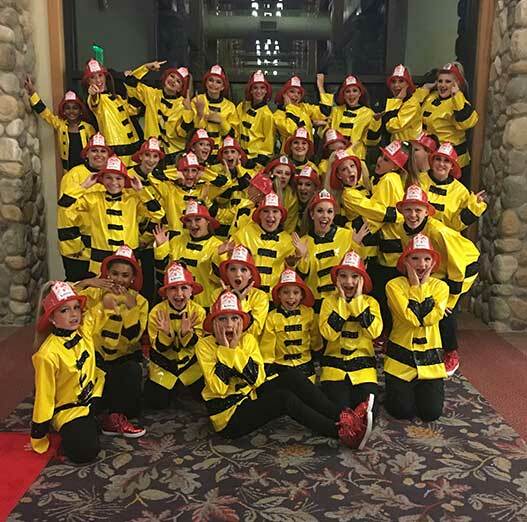 The production number performing to “There’s A Fire in Here (pictured right) earned 1st overall in the line/production division and was recognized in the BEST OF THE BEST and was then selected as the winner, earning them the Title of National Champions. OUR FALL CLASSES ARE START WEEK OF SEPT 10th! Join Us And See What KHDW Is All About! DANCERS PERFORM IN NEW YORK CITY AT DR. OZ GALA!! 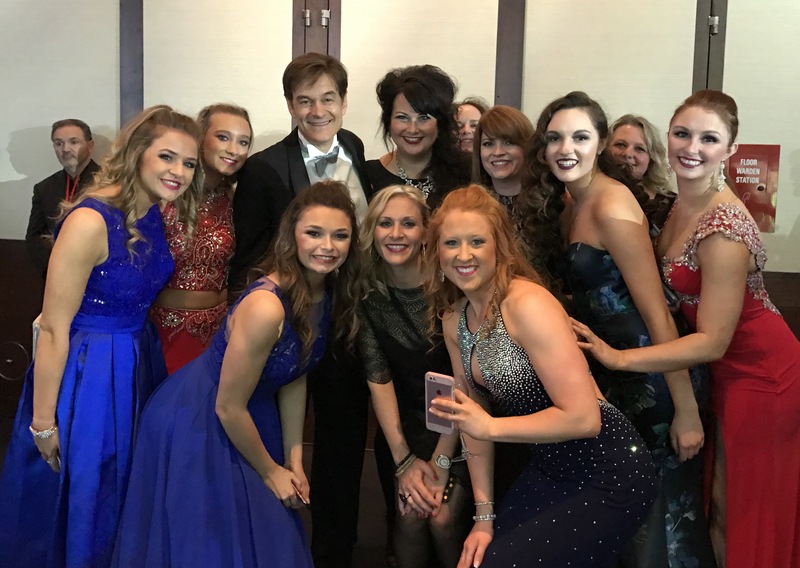 Dancers, Kylie Hohman, Larissa Laudick, Jessica Offerle and Selena Witten, from Kim Hohman’s DanceWorks were selected to perform the opening number at Dr. and Lisa Oz’s HealthCorps Gala. They were selected from an intense audition directed by Stepp Stewart, owner and director of Dynamite Talent as well as the choreographer for the Dr. Oz show. This was the 11th annual HealthCorps gala. This year they honored Rocco DiSpirito, celebrity chef and a cookbook author. The HealthCorps mission is to raise funds to fight child obesity and expand the organizations in school health education programming. HealthCorps was founded by Dr. and Lisa Oz and they were the co hosts of the Gala. This was a black tie event, a magical evening of dining, dancing and entertainment. The dancers along with their parents and studio owner/instructor, Kim Hohman traveled to New York City for this amazing opportunity and experience. The dancers attended rehearsals learning the choreography to perform a jazz number at the event. Kim and parents, Kimberly Laudick and Jennifer Witten volunteered for the event. “This was such an amazing experience for all of us” said studio owner Kim Hohman.